Simple extractions are performed on teeth that are visible in the mouth, usually under local anesthesia. 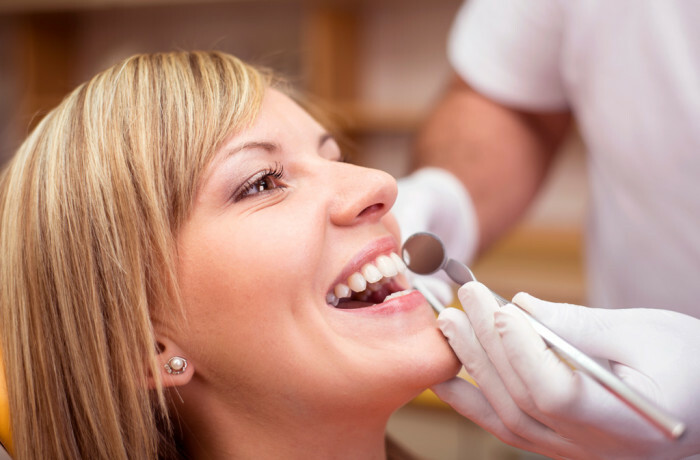 Surgical extractions involve the removal of teeth that cannot be easily accessed. Wisdom tooth extractions are under this category. They have either broken under the gum line or have not erupted fully. When teeth are broken or damaged by decay, dentists will attempt to preserve them by using fillings, crowns, root canals and other dental treatments. However, when damage is so severe that teeth are unsalvageable, they may be removed in order to preserve the health of the mouth and jaw bone. Patients requiring tooth extraction are encouraged to contact Friendly Dental of Somerset to arrange a personal consultation. The removal of fully developed teeth that are visible in the mouth, as opposed to wisdom teeth that may be wholly or partially hidden below the gum line, is referred to as a simple extraction. During this straightforward procedure, patients will likely feel pressure, but not pain. When you arrive for your tooth extraction at Friendly Dental of Somerset office, every measure will be taken to ensure you are as comfortable as possible. Before removing a damaged tooth, our Dentist will take a series of x-rays to examine the root and jaw bone, and determine the best method of extraction. Doctor will then administer a local anesthetic to numb the tooth, gum and jaw area being treated. Based on your needs and preference, Doctor may order a deeper level of sedation to ensure your comfort and relaxation.